Take a tour through the horror paperback novels of two iconic decades ... if you dare. 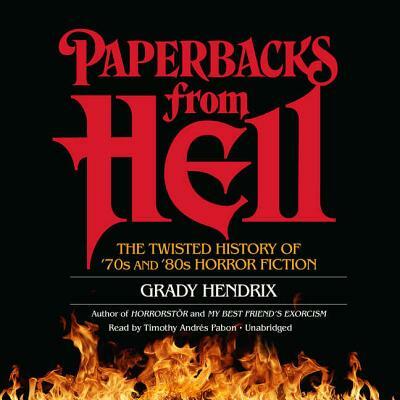 Hear shocking plot summaries that invoke devil worship, satanic children, and haunted real estate Horror author and vintage paperback book collector Grady Hendrix offers killer commentary and witty insight on these trashy thrillers that tried so hard to be the next Exorcist or Rosemary's Baby. Complete with story summaries and artist and author profiles, this unforgettable volume dishes on familiar authors like V. C. Andrews and R. L. Stine, plus many more who've faded into obscurity. Also included are recommendations for which of these forgotten treasures are well worth your reading time and which should stay buried.